When I attented the Inglot event last month, I already knew that nail polish was the next thing to buy. I also had a color in mind. 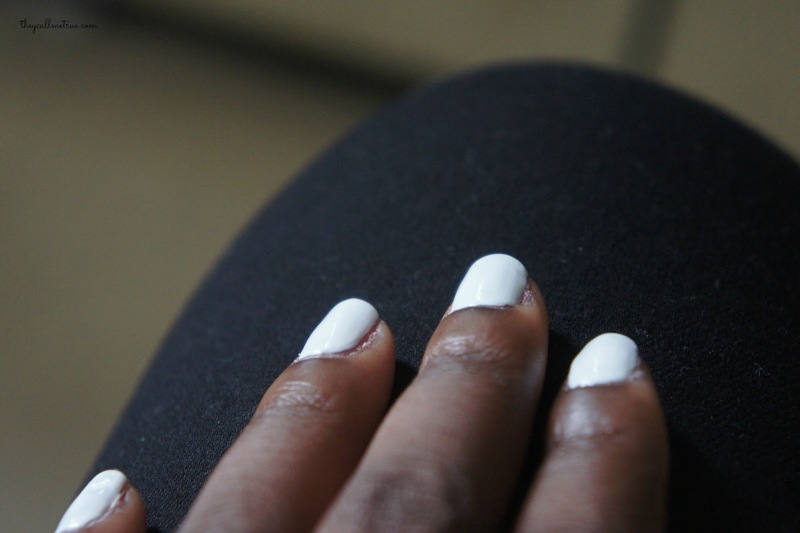 It was the very first time that I purchased a white nail color & I don’t regret buying it! I’m very happy that I tried out a product of Inglot. The nail polishes are incredible! Normally I would always grab a top coat when finishing my nails but you don’t even need it with the Inglot nail polishes. It already adds the shine after two layers and don’t worry about it not drying fast, it does. You will also wonder if it stays on for long. Well, when I use this nail polish it stays on for approximately 4 to 5 days without chipping. In my opinion it’s long enough for just a nail polish! I have a bunch of nail polishes that don’t even last for a day hahaa! So since the purchase, I have been wearing white nail polish all day every day! It’s just … I don’t know how to even describe it… It’s just different and plain! It seriously goes with every color and item in my wardrobe! It’s plain yet very present! sorry for the water drops in this picture. Didn’t dry off my hands… oopsie! *In The Netherlands, Inglot is sold at their stores in Amsterdam, Amersfoort & Eindhoven. Previous Post A New Era. Great post like the idea you do not have to add top coat one less step. Still makes me think of tip-ex too much… I think white is great as a base coat for nail art, but on its own I am not too crazy about it. Heel gaaf! Staat je echt top. Valt helemaal op. I like!!! Wat heb je je nagels mooi gelakt!! Staat je super goed! Bij mij ziet wit er echt niet uit, haha. By the way, is this from inglot's new breathable nail polish range? i also have white nails right now….i really love them !! I love white nail polish, it always looks so modern! Weetje wat je eens moet proberen, als basis laag witte nagellak, en daar overheen een kleur. De kleur word 100 x intenser! Like me, I'm wearing white on my nails all the time recently 🙂 super stylish! 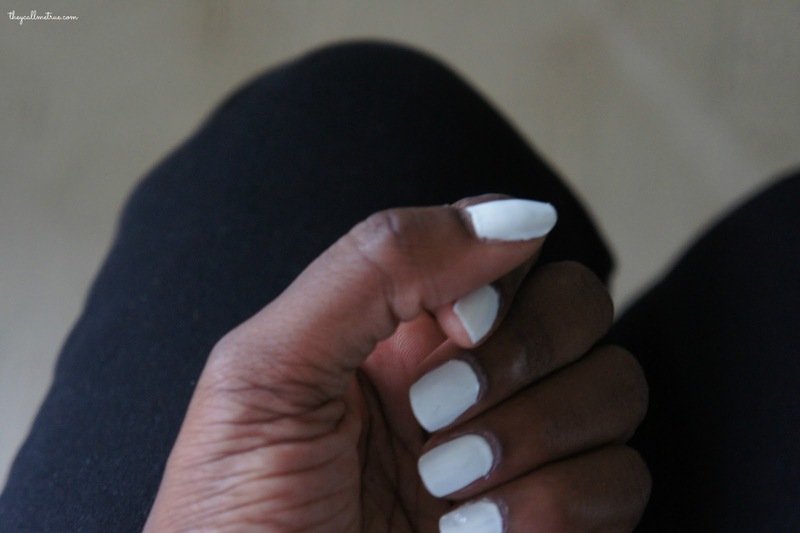 I love white nails, super trendy! Thanks for sharing! I have been looking for a white nail polish! The white looks SO good on darker skin! On me it would just look washed out but on you it looks beautiful! !